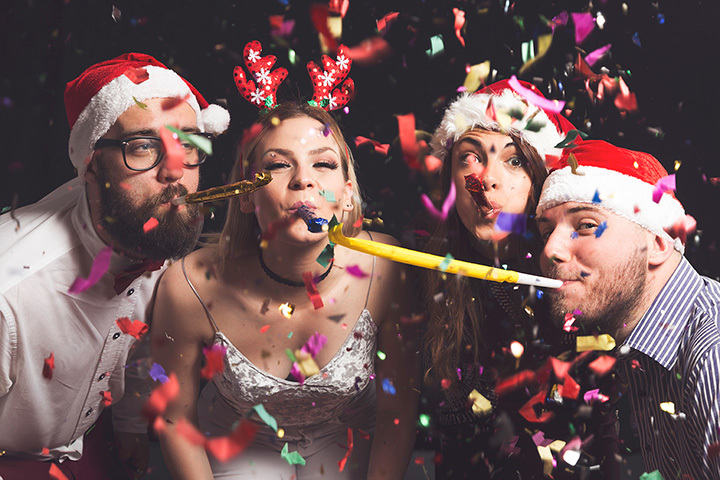 From drinking to dancing to the countdown, New Year’s Eve is one of the most lively holidays, so you don’t want to miss a minute of the fun. Whether you’re looking to celebrate at a brewing company or if a casual bar and grill is more your speed, head to one of these seven awesome North Dakota bars to ring in the new year! Borrowed Bucks is the place to be on New Year’s Eve! Enjoy $5 all-you-can-drink specials from 6-8 p.m., $2.50 tall taps from 8-10 p.m., $2.50 Captain Morgan drinks from 8-10 p.m., $2.50 bomb shots from 8-10 p.m., and $2.50 teas from 8-10 p.m. Guests will also receive free party favors and be treated to a confetti blowout at midnight. Happy New Year! Nothing quite compares to an Irish pub celebration. Ring in the new year the right away by great food, great drinks, and great people. At O’Really’s on New Year’s Eve, you are encouraged to celebrate the new year Irish style. Enjoy big ginger drinks for $5, Irish breakfast and Irish stinger shots for $3, and more. The first 100 guests will receive free favors! The Elbow Room in Bismarck is a New Year’s Eve hot spot. This bar has big TVs, blackjack, pig wheel, pull tabs, TouchTunes jukebox, and much more. They stock both local and nationally known beers and hard liquor. This casual bar is off the hook during New Year’s Eve! It is located conveniently in the heart of Bismarck, only one block north of the Bismarck Event Center. DJ’s Bar and Grill is situated in a quaint townhouse, but don’t let the exterior fool you—it is an exciting and lively bar through and through. They have daily lunch specials, specialty burgers, and cold drinks. DJ’s comes alive during New Year’s Eve as it is filled with partying patrons. Join in the fun and head here to ring in the next year! If wild parties and loud celebrations aren’t your cup of tea, head to Maxwell's Restaurant and Bar in West Fargo. For their New Year’s Eve event, the restaurant serves an elegant multi-course meal with several wines available. Maxwell’s is well known for their fine dining, warm hospitality, and large drink selection. The restaurant has even been awarded the Wine Spectator Award of Excellence since 2012! Fargo’s Picked Parrot is packed full of friendly, happy customers during their annual New Year’s Eve party, complete with a countdown, specials, and games. The bar has fun specials like $3.50 Johnny Appleseed bottles and daily happy hour with $1 domestic taps, $2 Fireball, and $3 craft taps. Head down to Powerhouse Bar & Grill for the biggest New Year’s Eve bash in North Dakota. Enjoy $1 shots all night long, with the shot changing to a different type of liquor every hour. There will be dancing, dinner specials, and free champagne at midnight. You won’t want to miss this one.